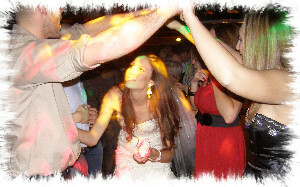 JMF Disco offers an experianced Wedding DJ and Wedding Disco in Kent to help with your special day. My aim is to provide you with all the help you need, from your initial phone call to seeing your happy guests leaving after a wonderful nights entertainment, at your perfect reception. Not only will JMF Disco's Wedding DJ and Wedding Disco service provide you with the entertainment you want for your dream wedding reception - but will also help with Wedding Venues to help you plan your perfect wedding. JMF Disco has gathered together a list of wedding venues in the Sittingbourne area that could help you find your perfect wedding venue. If you provide a wedding venue or venue for a wedding reception in the Sittingbourne area and want your details added to this list, please contact me on the details shown at the top of the this page.